Not just any HVAC contracting company can handle a big job on a commercial property. Big spaces have larger, more complicated equipment and infrastructures that require service from only the most skilled technicians. You want those systems to be reliable and effective for the comfort of your customers, clients, and employees. With Argent, facility managers, and building and business owners can be rest assured that their heating and cooling systems will run efficiently. Argent Contracting Company offers regular service and maintenance contracts for commercial spaces of every size throughout Essex, Morris, Somerset, and Union Counties, NJ. Our impressive customer list includes top commercial, retail, restaurant, and office spaces. Contact us today at 908-624-9901 to learn more about our commercial services and available service contracts. Argent is also available 24/7 for emergency repairs. Large heating and cooling systems require regular maintenance to ensure they are top working order and cost-effective – and to prevent costly repairs in the future. Our trained specialists develop a maintenance program to help extend the life of your HVAC systems and reduce your operational costs. Argent’s technicians specialize in various types of equipment so we can get the right team members on your job. We’ll develop an efficient service plan for your unique space to make sure everything runs smoothly. Argent offers a wide selection of heating, ventilation, and air conditioning products to choose from. If you’re upgrading a current system or working on a new construction project, Argent has the resources to handle the scope of your project. We work with top brands and manufacturers that our technicians know and trust. If you need a quick or emergency repair, Argent is available 24/7 to take your call. We understand how important it is to ensure that your business is up and running. A major breakdown in a cooling or heating system could cause you to close your doors. An Argent technician will be by your side as soon as you need us, so we can diagnosis and fix the problem quickly. Argent’s technicians treat minor and less urgent repairs with the same diligence as major and emergency repairs. We offer the same superior customer service and industry talent for each and every one of our customers. If you would like to replace an outdated or nonfunctioning HVAC system, Argent helps you design the most cost-effective solution for your space. We work quickly to get the right equipment into your building and get it installed right. We work with everyone, from Dunkin Donuts to Bloomingdales to Siemens Water Technology. There’s no job too big or too small for Argent to accomplish. If you need major or minor repairs for your commercial property’s heating and cooling system, need a new system installed, or are working on a new construction project that needs an HVAC unit, call Argent today at 908-624-9901 to speak with a representative who focuses on commercial services. Our main office hours are 7AM to 5PM, Monday-Friday, but we are available for emergencies 24/7 at 908-624-9901. Our commercial HVAC technicians service clients in and around Morris, Essex, Union, and Somerset Counties, New Jersey. 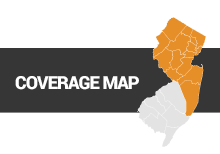 Our coverage area includes: Essex County, Morris County, Union County, Middlesex County, Somerset County, Bergen County and Passaic County.